Singapore&#8217;s banking industry has moved quickly to produce open APIs in cooperation with the Fintech industry to create a customer-centric user experience; Hong Kong&#8217;s open banking has advanced big data analytics and conversion capabilities, and fast-growing cloud applications. Both of these countries provide lessons for Taiwan. On Sunday, January 13, 2019, as if it were a weekday, the UK Competition and Markets Authority (CMA) announced the &#8220;First Anniversary of Open Banking.&#8221; This year-old financial model does not require any physical banks. With smooth development, it will be able to provide in-demand financial services 24 hours a day, 7 days a week, 365 days a year. Looking back over the past 12 months, despite the work to come, the CMA has already made great progress in open banking. About 200 institutions have joined, which &#8220;will revolutionize banking and fund management.&#8221; The CMA emphasizes that open banking is a key element of reform, resolving competition problems found in UK retail banking. Looking at the development of open banking services in Singapore and Hong Kong, though, the UK is already falling behind.Singapore&#8217;s LeadershipIn November 2016 &#8211; a full 13 months before the UK did &#8211; the Monetary Authority of Singapore (MAS) and Association of Banks in Singapore (ABS) jointly published a meticulous development blueprint: Finance-as-a-Service API Playbook. This document is regarded as Singapore&#8217;s API guiding plan, laying out API governance, implementation, application, and design principles. APIs are application programming interfaces, connections between different software system components. Special internal bank software may use an API to open secure data channels to an external E-commerce company.Why does the Singapore government consider APIs such an important pathbreaker regarding open banks?MAS Deputy Managing Director Ong Chong Tee explained in a speech that the core concept of open banking is enabling consumers to own their own personal information. When demanded for financial services, APIs seamlessly integrate data from financial institutions. Third-party middlemen play a key role. Only third-party providers selected by the consumers themselves can utilize the data.&#8220;This kind of promotion can promote competition and improve pricing and service quality.&#8221; MAS argues that consumers have a right to their own financial information &#8211; not only through financial institutions, but rather also legal regulations. Moving data between service providers can stimulate industry development through the action of consumers&#8217; independent choices. The API principles released in 2016 leave ample room for the providers themselves to develop independent products. The Singapore government has also worked in the Smart Country Program to digitalize financial services. In September 2017, it launched a national Network for Electronic Transfers (NETS), with the electronic wallet NETS Pay. At the end of 2017, it built a API exchange (APEX), allowing all government agencies to safely share data through APIs. The APEX system has since become a key platform linking up Singaporean and ASEAN countries&#8217; financial services. For the service providers, the government has established a financial API registry, so that each new API can be tracked by functional category. It should be noted that MAS&#8217;s push for open banking emphasizes non-mandatory compliance. Aside from the API Playbook mentioned above, there is no clear regulatory framework, much less detailed regulations or a schedule of progress. According to a statement by Wellington Koo, Chairman of the Financial Supervisory Commission (FSC), Taiwan is leaning towards Singapore&#8217;s voluntary model. The FSC can use administrative orders or banking associations for industry self-regulation, and must avoid legal force.Leadership from the Private SectorBased on MAS&#8217;s laissez-faire principle, many Singaporean banks have begun cooperating with Fintech firms to produce open APIs. The Good Life service by Standard Chartered Bank is a business ecosystem providing Singaporean clients with discounts, alternative payment methods, and bonus point options. 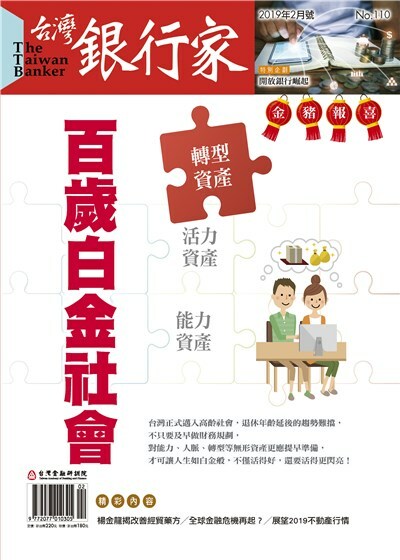 Thus cooperation model is similar to Citi PChome Prime Co-brand Card from Citibank (Taiwan) and the E-commerce leader PChome, which are interconnected through an API to reduce the need for customers to fill out the same information repeatedly, optimizing the card application process.DBS and OCBC are two local Singaporean banks with valuable experience in API-driven applications connected to the PayNow electronics payment system, set up by MAS. As early as November 2017, DBS took the major step of launching the world&#8217;s largest bank API developer platform. Other brands, companies, and Fintech and software developers can use this platform to connect banks and create a customer-centric user experience.DBS, the open API platform developer, launched 155 API in over 20 categories, including funds transfer, bonus rewards, and PayLah! Over 50 consumer goods companies like the American insurer AIG, McDonalds, and PropertyGuru, and startups like FoodPanda, Homage, and soCash are participating in the platform. In other words, the retailers connected to DBS are making up the first wave of open banking participants.DBS&#8217;s work with APIs is related to its digitalization strategy. It has pioneered the digitized bank operating model, providing comprehensive financial services for consumers, SMEs, and corporations, and winning Euromoney&#8217;s second-ever World&#8217;s Best Digital Bank award. DBS CEO Piyush Gupta said that the purpose of its digitalization strategy is to &#8220;provide customers what they need&#8221; as times change &#8211; no different from any other bank.Singapore Scores First on the Open Banking Readiness IndexWithout the initiative from local banks like DBS and OCBC, Singapore would not have excelled like it has in two 2018 4Q global open banking rankings and surveys: the Finastra open banking readiness index and The Brave New World of Open Banking, jointly written by Accenture and the Innopay Open Banking Monitor.The Finastra Open Banking Readiness Index is a result of collaboration between the digital finance research firm Finastra and IDC Group, a US marketing company. It explores how open banking will change the industry, and how to re-engage customers, provide new products and services, and cooperate with third parties, and also ranks 14 Asia-Pacific countries. Of course, Singapore ranks first. Finastra&#8217;s research team states that the index includes five metrics. Singapore&#8217;s DBS has already implemented two of them, making it more innovative than banks in Australia, New Zealand, and Hong Kong. Accenture&#8217;s market report covers 11 countries, 100 multinational banks, and executives of 330 SMEs and 330 large corporations, describing the expectations and plans for open banking of banks and their corporate customers. The report found that commercial bank customers also hoped for the convenience of the services received by retail bank customers. 80% of large banks in the Asia-Pacific planned to invest in open banking for their corporate customers in 2019. &#8220;This will be the year of open banking!&#8221;The Accenture survey team said that Singaporean commercial bank customers hope that open banking will help reduce the complexity and costs of inter-bank connections, and helps businesses reach more customers and partners. SMEs&#8217; expectations for open banking mainly involve cash management, accounting software, and financing, while large enterprises hope for inter-bank comparison of funds and liquidity management, and financing. Interestingly, this report also confirms that Singapore&#8217;s open banking has matured. 33% of commercial bank customers said that they had participated in open bank platforms, and another 35% plan to in 2019. Nearly &#190; of large and SME customers are working with banks to create plans. &#8220;Singapore&#8217;s banks have long recognized that developing APIs while also providing open banking solutions is the only way to be competitive.&#8221; Hong Kong&#8217;s Orderly Promotion ProcessAfter Singapore and Australia in the Asia-Pacific in Finastra&#8217;s Readiness Index comes Hong Kong. Finastra said that its strengths include advanced big data analytics and transformation capability and quickly growing cloud services, but API applications are still lagging. 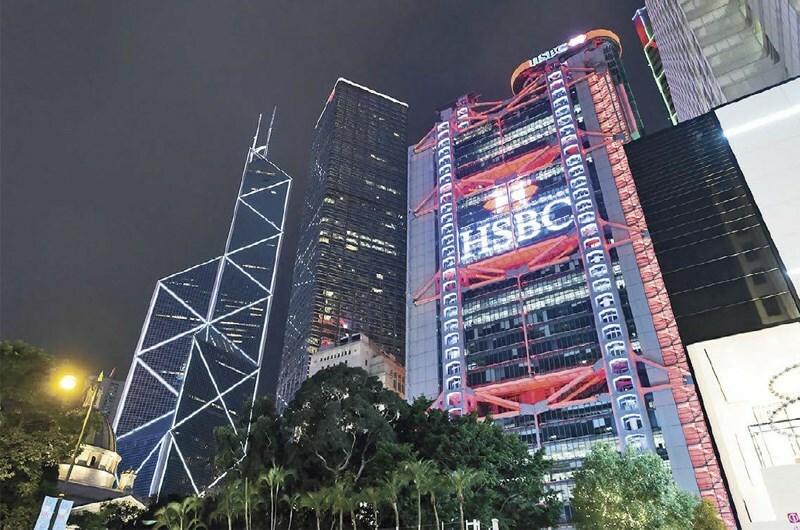 The Hong Kong Monetary Authority HKMA first abandoned British legislation, then adopted Singapore&#8217;s model of industry-based development, learning from their experiences. It announced seven open banking measures in September 2017 to bring the open banking era to Hong Kong. One of the measures formulated an open API concept &#8211; almost a year later than in Singapore. It published the detailed framework in July 2018.Open banking APIs allow third-party service providers to connect to the internal systems of other institutions. The HKMA argues that only after effective implementation of open banking APIs will different banks become able to integrate the data for their products and services into unified websites or applications, enabling user comparison and self-managed financial planning. Providers of new services will be able to use the open data to provide unique products and brand a new user experience.In the first phase of open banking APIs, the Hong Kong Science Park Data Studio aims to provide a unified data database of each bank&#8217;s APIs by the end of January 2019, helping developers access data. Meanwhile, banks will also provide technical specifications for online APIs. APIs for core banking functions include deposits, current account details, time deposit account details, and foreign currency account details. As for the credit card applications and lending functions eagerly awaited by the public, the HKMA expects that a number of supporting practices will be in place by the end of October 2019.